It's that time of year again. As the Christmas season approaches and we prepare to shut up shop for 2017, it's time to break out the bubbles. For many, that means champagne or an Aussie riff on the classic varietals – chardonnay, pinot noir and pinot meunier. These may be tried and true, but let's face it, a tad predictable. How about some less familiar fizz to get the conversation flowing? The market is currently brimming with alternatives. Interesting varietals and progressive winemaking lead the charge. 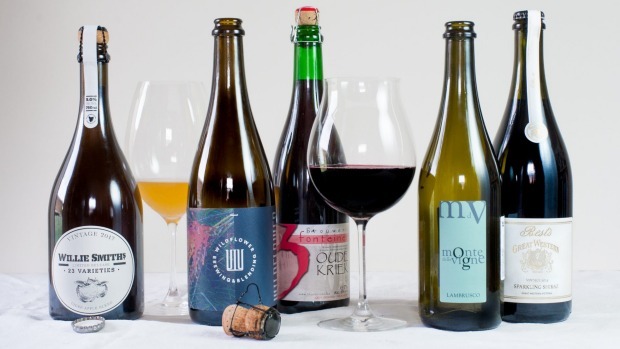 There are also, dare I say it, plenty of underappreciated options from outside the wine realm waiting eagerly to be taken seriously at the dining table. Here is a cheeky December dozen bound to turn some heads this season. Canberra hero Brian Martin gives a classic grape variety an unexpected makeover. The petillant-naturel process, or pet nat, for short, is essentially the precursor to the modern champagne method. The wine is bottled before fermentation has completed, leaving un-digested grape sugars for the yeast to consume, which carbonates the wine naturally without any additions. These days, champagne producers add sugar and yeast to a fully fermented wine before bottling, but let's face it, in the beginning Dom Perignon was sipping pet nat. Just like your staff Christmas party, these bottles can be unpredictable and a little raucous, so watch out for gushers. This one packs a zesty punch up front with ample citrus and young stone fruit across the palate. It finishes off with some cidery yeast complexity and earthy white pepper notes. A joy with oysters. Forget the Christmas Crownies, this is special occasion beer right here. This iconic Belgian Lambic brewery have been dealing in Kriek since 1953. Wild fermentation and extended barrel aging with sour cherries provide power and complexity with plenty of musty funk, dark fruit, almonds and cherry pit. It's driving acidity and textural wood tannin make this beer an ideal stand-in for wine at the dining table. Serve in ludicrously oversized pinot goblets for full effect. A serious pet nat to convert the non-believers. Made from 100 per cent Canberra savagnin, this drop delivers a generous mid palate of chalky red apples, quince and honeysuckle, followed by a refreshing burst of acidity to cap things off. Where other fizzy whites might take a back seat when paired with richer seasonal fair, this gem has the power of character to stand up and be heard at the table. Genuinely thought-provoking stuff, and a wine that over delivers at its price point. 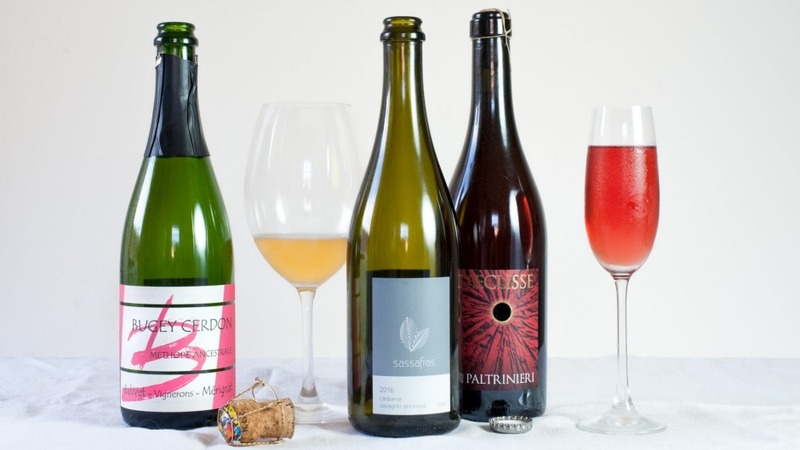 Lambrusco has come a long way. With pronounced flavours of vibrant dark fruit and a characteristic frothy purple head on the pour, this rendition is familiar, but unmistakably more refined than the cheap, sweet, predictable fizz of bygone years. Its slight sweetness is offset by crunchy fresh acidity and rustic tannic charm. A refreshing take on a familiar classic. About as far from big house champagne as you can get. Organic, biodynamic, minimal intervention winemaking that shuns common practice. Dry grown chenin blanc, with a touch of tempranillo, is fermented in clay amphorae and bottled without additives, fining or filtration. Grapefruit and pear character shines through, and earthy acidity drives home a distinct mineral edge. Cleansingly fresh, with subtle phenolic grip. 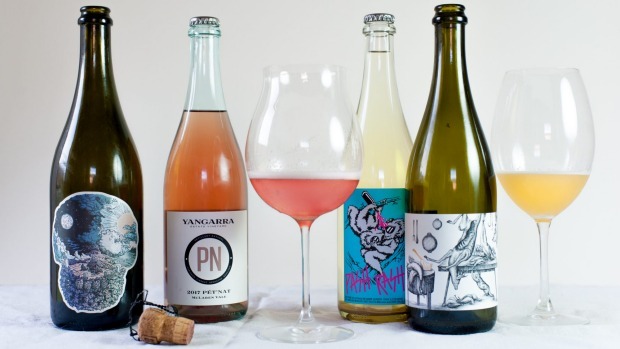 Quintessential new-school pet nat. Imagine making wine from those watery, flaccid grapes at your local supermarket. Don't giggle, many home winemakers do. What most punters don't know, is that the majority of commercial Australian ciders are produced using eating apples. Here, we have a point of difference. Willie Smith, from Tasmania's Huon Valley, uses an impressive 23 varieties of bittersweet European cider apple in this full bodied, textural blend. Complex flavours of ripe apricot and dusty earth support the distinct tannic grip of proper cider. A must with roast pork and crackling. Colour can be a strong indicator of elegance in a rosé. Here, we have a case in point. Rhone valley varietals carignan, grenache, cinsaut and graciano are foot trodden and left to colour for three hours on skins before gentle basket pressing, resulting in a delicate salmon pink that is worlds away from the garish fairy floss fizzers that have done little to instate rosé's reputation as a sophisticated food wine. Aromas of musk and rose compliment a balanced mid palate of cranberry and ripe stone fruit. Cleansing acidity drives home the point. Serve with shellfish. This wine may not look, smell or taste like lambrusco, but yes, believe it or not, it is. The pale pink violet colour couldn't be more unlike the brooding purple monsters synonymous with the style. And thankfully, the differences don't stop there. It's made entirely from the sorbara grape, and interestingly, big fruit character is not the main objective here. Instead, an elegant balance of cutting fresh acidity and tangy red fruits make for ideal summer drinking and versatility at the dining table. As the name and label suggested, this is pure unbridled fun in a bottle. Maybe not a wine to impress the in-laws with, but a real killer when it comes to hot summer day drinking. Think Boxing day on the beach. Pinot gris and sauvignon blanc deliver lively lashings of passionfruit and citrus. Easy to enjoy, spritzy deliciousness. I know, sparkling shiraz is almost as ubiquitous as French fizz at this time of year, but the Aussie classic deserves to be on every table for good reason. Ripe dark plum, blackberry and liquorice give way to subtle sweetness and drying tannins. The spicy complexity of cool climate shiraz is on show here. Think glazed Christmas ham (I know you already were), or serve alongside Peking duck pancakes at your next cocktail party. Brewer and blender Topher Boehm makes barrel aged Australian wild ales. His beers are unique in that they are fermented using strains of wild yeast and bacteria sourced from various locations around NSW. The Amber Blend is deep copper in colour, with complex aromas of earthy funk and cola leading into a palate of caramelised malts and lingering tartness. The wine-world term "terroir'', referring to the expression of regional and sight specific idiosyncrasies, is not usually one used in a beer context, but maybe we should think again. This one is bound to get the wine brigade talking.